We are cramming two weeks in to one blog this week so here we go!!!!!! Our projects are well under way. 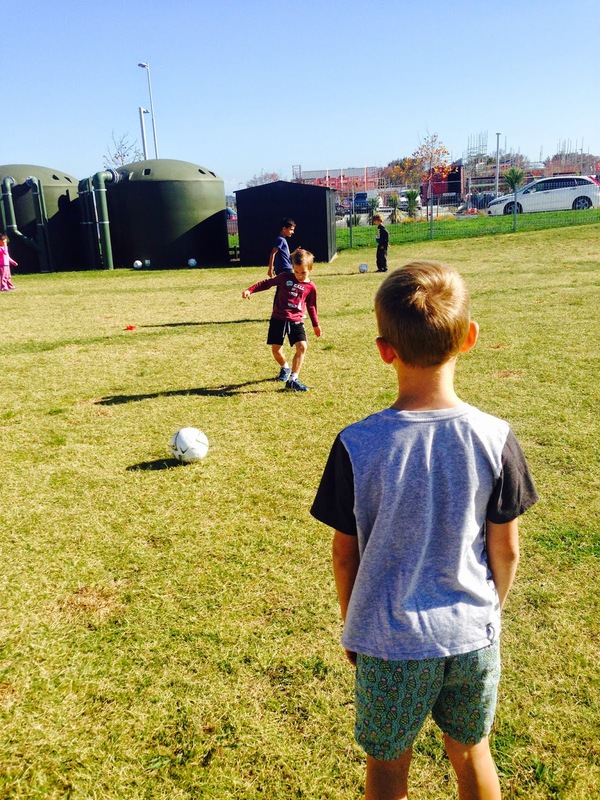 All of the children have been involved in a range of exciting learning experiences. They have also visited experts and welcomed experts to our school. Chantelle has continued to work with the fashion group. They have been thinking about how they can 'bedazzle' old clothes using a range of different techniques-felting wool to make flowers, dying and tie dying. 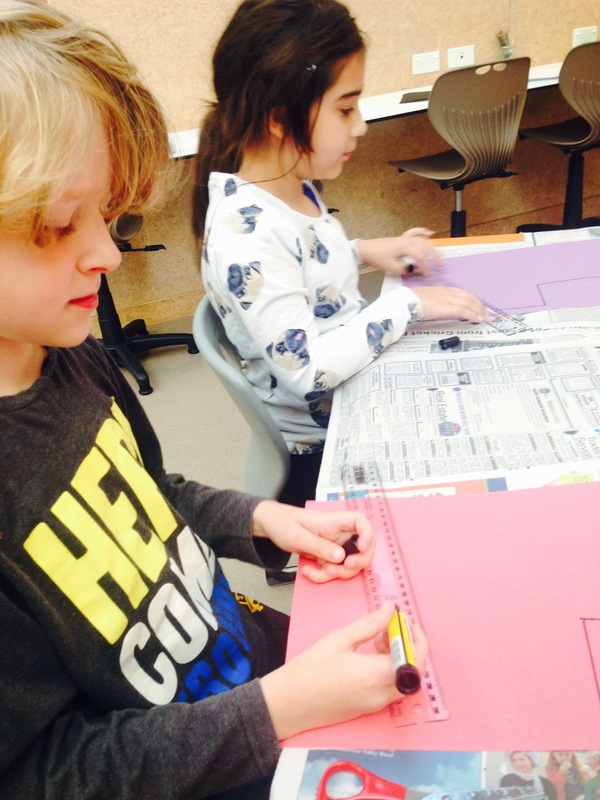 They have also been creating their own designs for different types of garments. Felting pieces of wool using soap suds. The children have been working really hard over the past couple of weeks developing their own biscuit recipes. 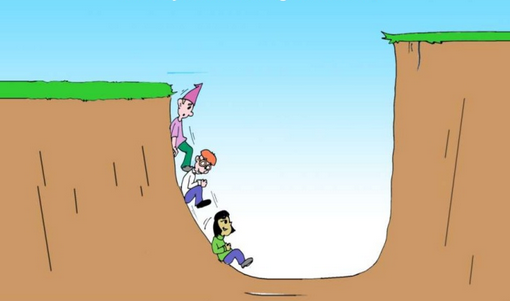 There have been some real successes and some opportunities to problem solve!! We completed our final experiment, 'Disappearing Colour' and have been exploring the difference between reversible and non reversible chemical reactions. 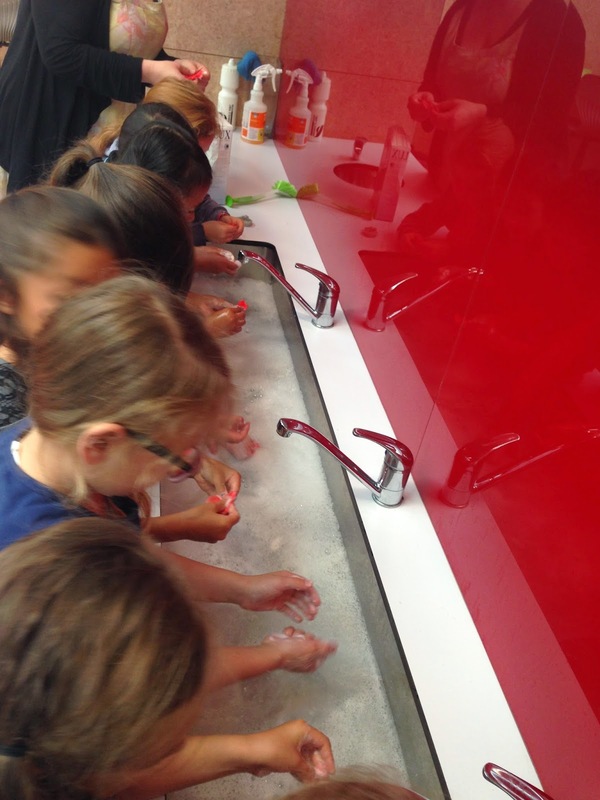 We created our company 'Bathzilla' and wrote our design plans which included such things as a logo, slogan, and target market. Vanessa, Will's Mum, came in to present a marketing plan to us which gave us lots of good ideas and things to think about. We are headed to Lush next to find out how they make their bath bombs and to get some really good ideas for ours. 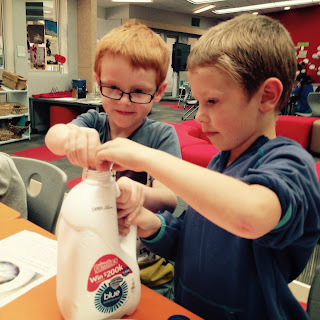 Adding the right amount of milk. Adding food colouring to the milk before we add the washing up liquid. Looking at the key features of logos and redesigning well known logos before we design our own. 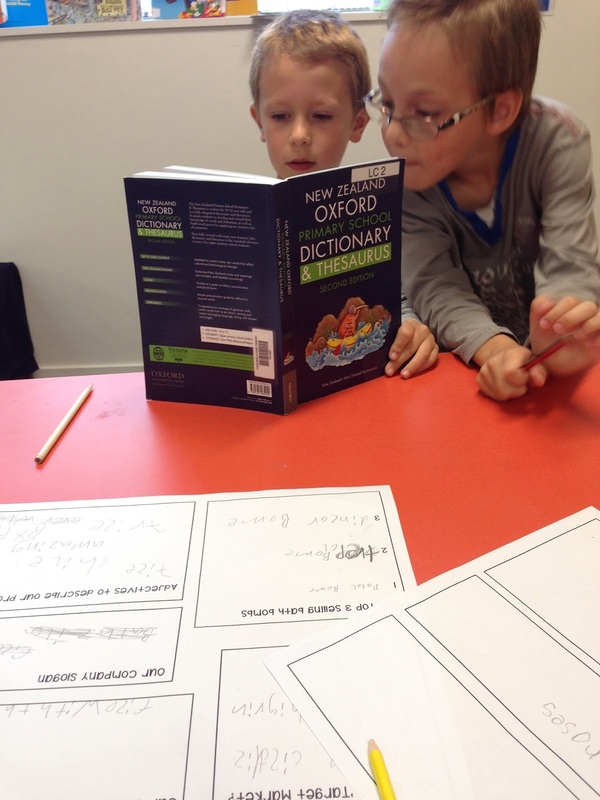 Using a thesaurus to find exciting adjectives to describe our product. Vanessa presenting a marketing plan. It has been another busy two weeks for the Town Planners. 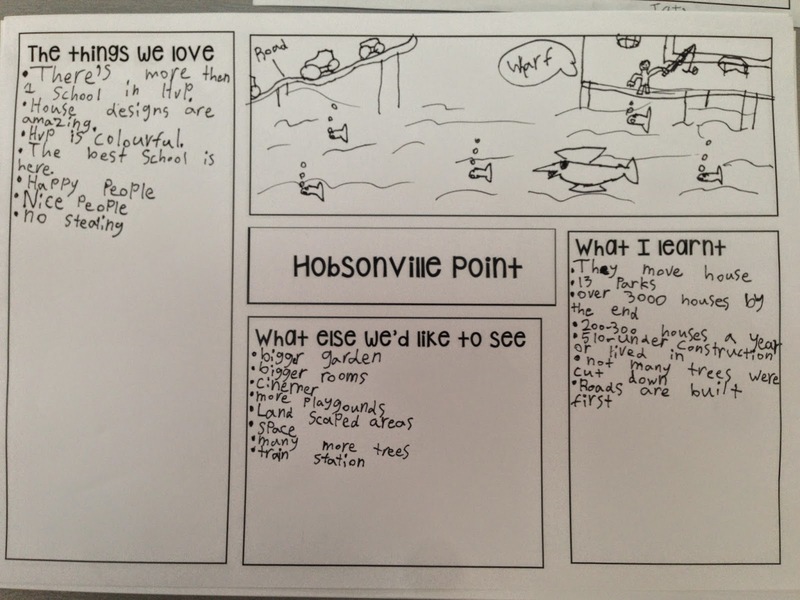 We visited the Hobsonville Land Company and came away with lots of answers to our many questions. 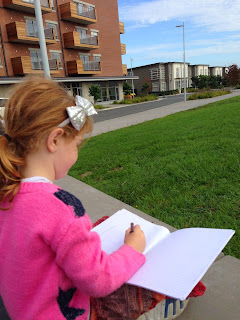 We also went for a walk in the community, stopping to sketch along the way and take photos. We popped in to the Universal Homes show home too! Some of us worked with Bailey and Oliver from LC3 to look at Sketch Up, a programme that allows you to design a whole town. 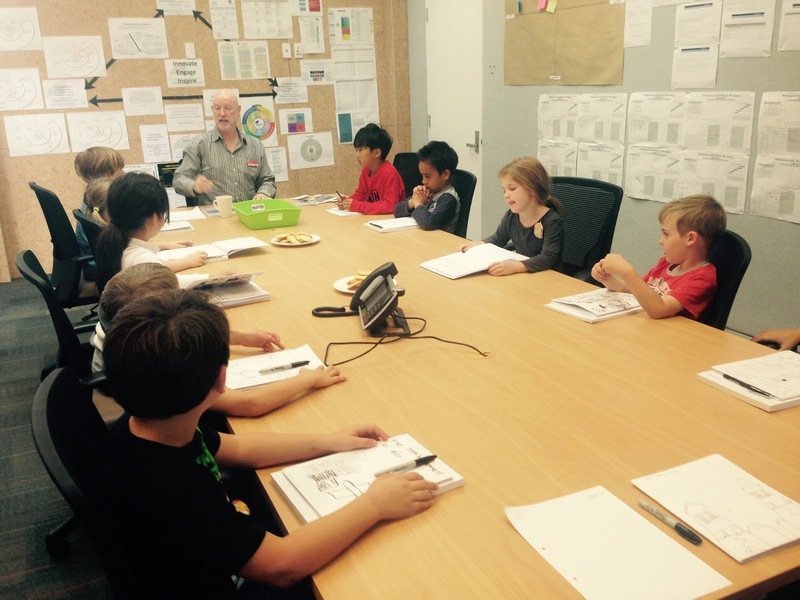 Meeting with some of the team at the Hobsonville Point Land Company. Taking the time to stop and admire the view! Stopping by the Universal Show Homes to take a look. Working with Oliver and Bailey on Sketch Up. 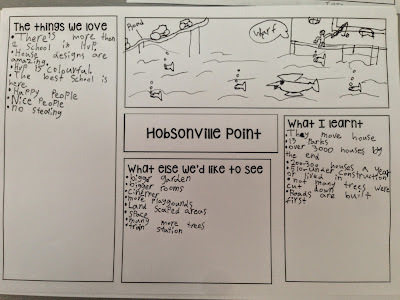 Feedback to give to Hobsonville Point Land Company following our visit. We have spent time this week revisiting our thinking on a growth mindset as opposed to a fixed mindset. We have also looked at The Learning Pit. 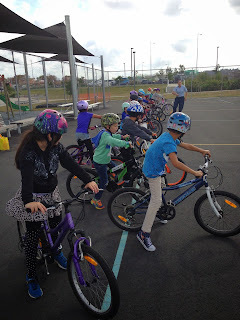 We spent time with Constable Lorena to develop our scooter and bike safety. Some of us were crazy enough to get to school at 6am a couple of Tuesdays ago to participate in the filming of the weather for the Breakfast show. It was very, very dark and very, very early! 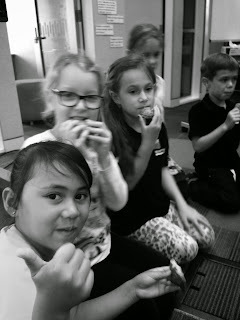 Our reading has been connected to our project over the last few weeks. All children have taken home some interesting reads that have supported the different elements of their projects. 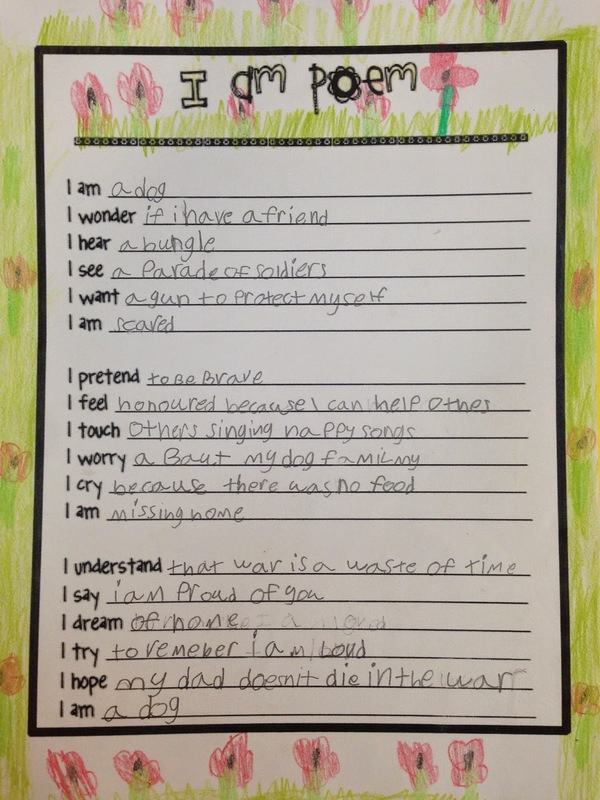 We have been using the Look Say Cover Write Check method to support our spelling. Some of us worked on high frequency words, some on exciting adjectives and others challenged themselves by finding words in the dictionary or thesaurus. We have needed to retrieve information from a range of sources for our projects so we have been working on how to take notes. 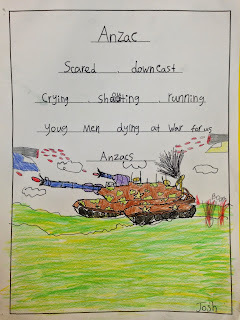 We presented our poems around the Anzac theme. 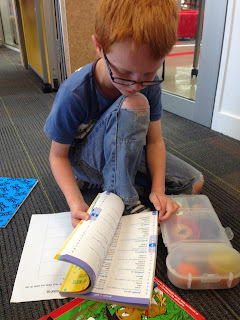 We are continuing our work on Measurement, considering when you would use cm, m and km. We have also practised how to use a ruler to measure lines and draw lines of a given length. Place value has been our number focus this week. 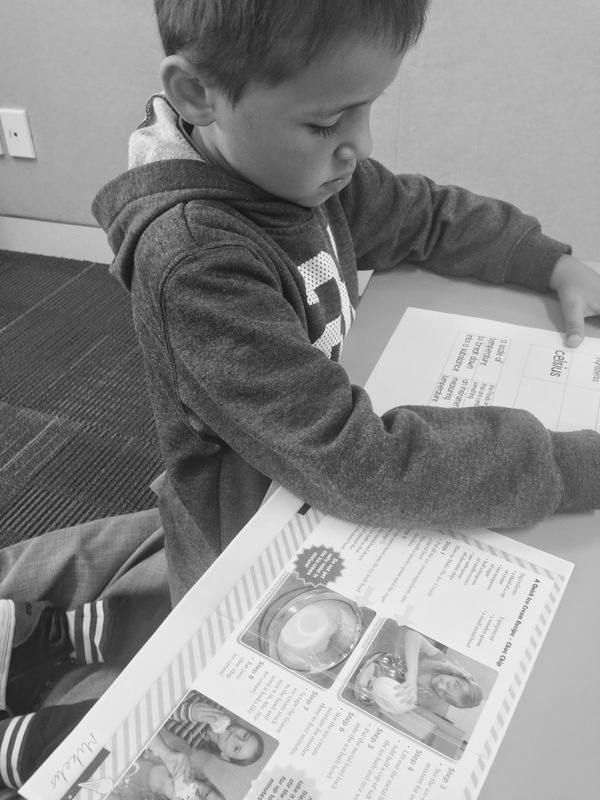 Sari did a great job applying the new learning that she had and facilitating James to be successful in the same learning activity. We have been looking at what makes a good logo. Bold, eye catching, colourful...... We had a go at redesigning already well known logos. 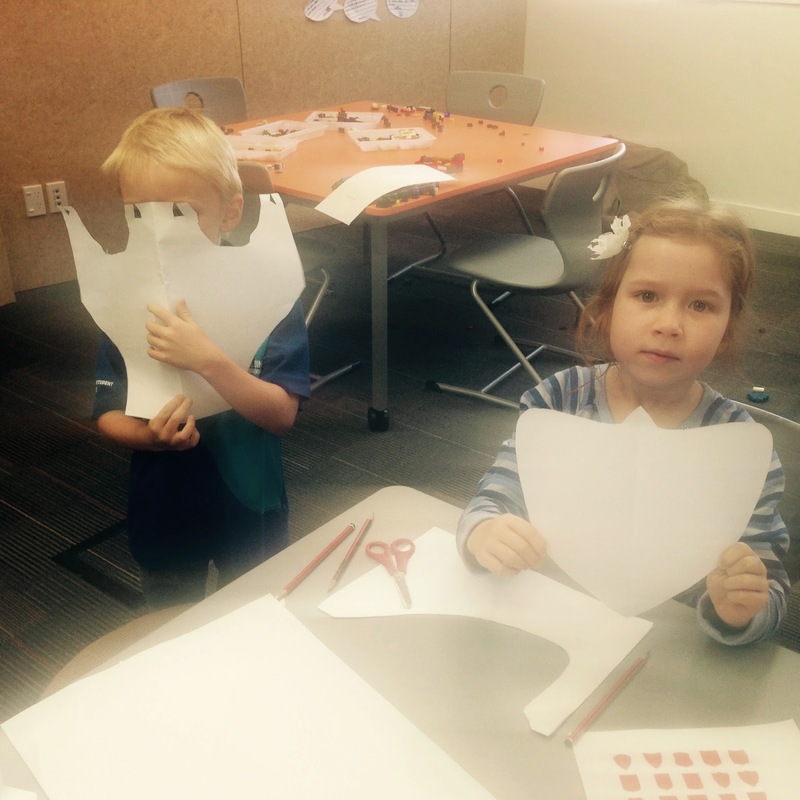 Making pop up cards with Luke. Drawing Minecraft figures with James. Drawing wild dogs with Lucy. Drawing wild dogs with Zoe and Lauren. 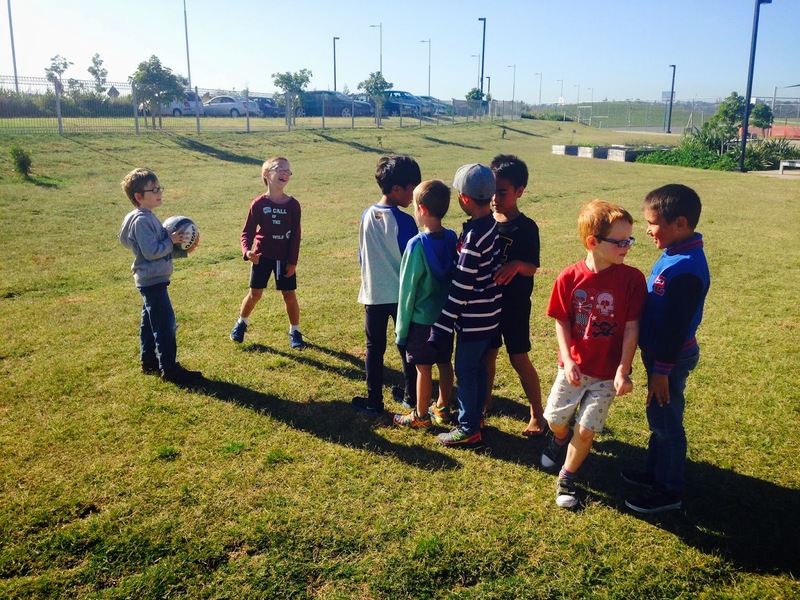 Soccer with Justin and Aaren. 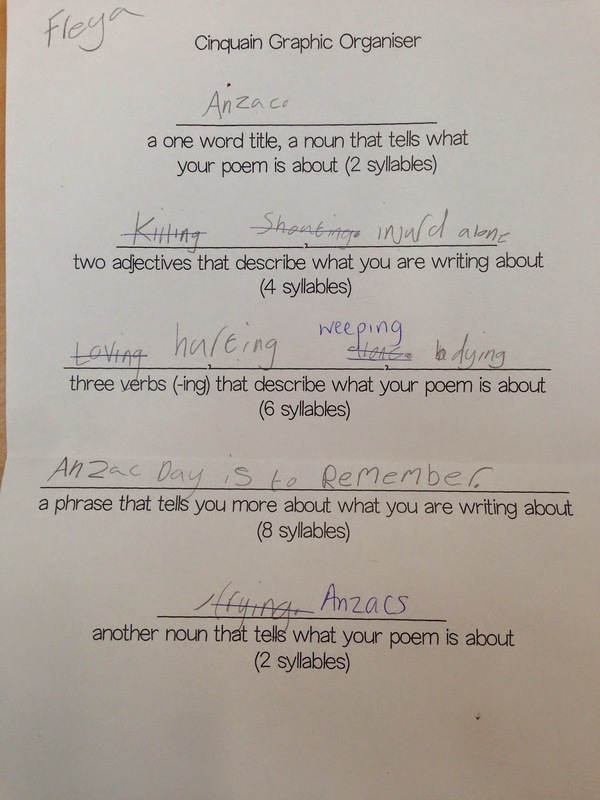 It has been another busy week in LC2 as we continue our focus on The Anzacs and really get stuck into our projects. 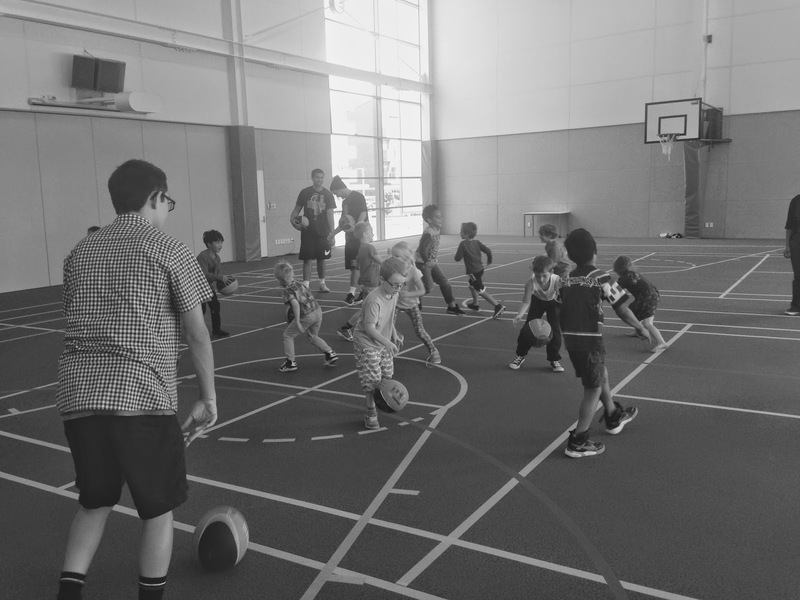 We have also had a busy week of sport, continuing our sessions with the AFL team and beginning our time being coached by a member of the Breakers squad. 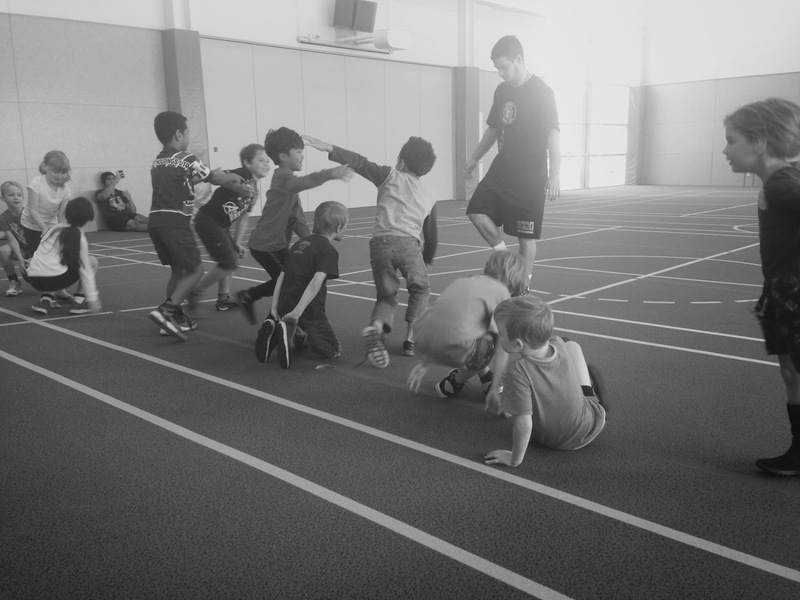 Practising our punts with the AFL team. 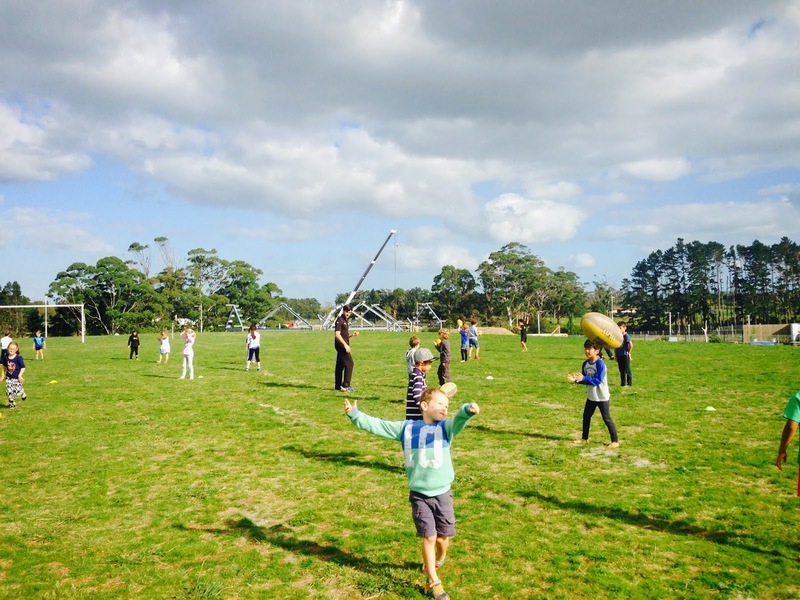 Playing ball tag with the Breakers. 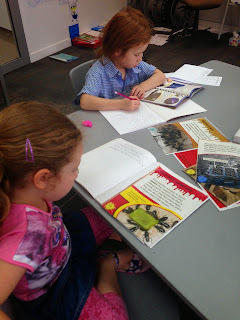 We are continuing to work on our projects, documenting our journey as we go in our own project books. Adaptability, managing complexity and self-direction. 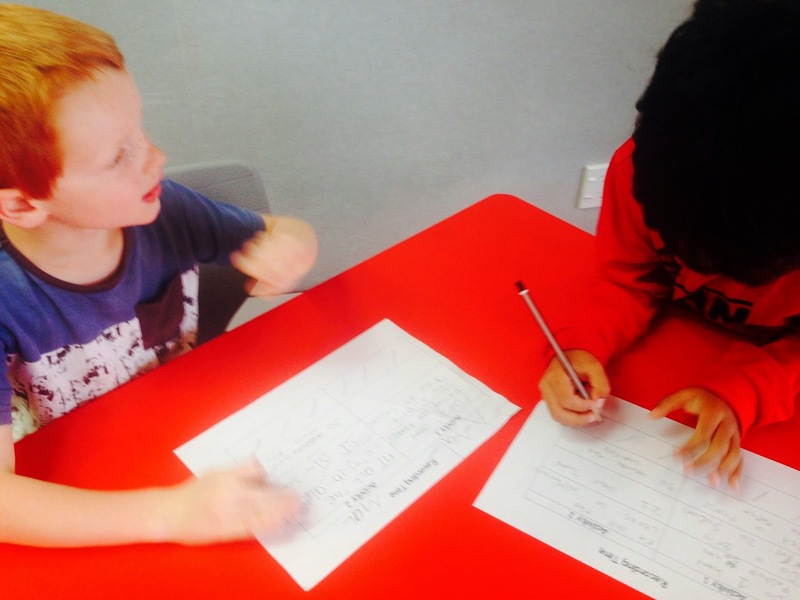 Higher order thinking and sound reasoning. This week the foodies enjoyed getting into the kitchen and making pancakes and chocolate chip biscuits. They will now design their own biscuit recipe and consider what else they would like to invent. The group have been working on their 'Mood Boards' this week. These represent preferred colours, patterns and designs. After discussion, the group realised that making garments from scratch was not going to be feasible. Instead they are going to use garments that they already have and add a different dimension to them by using a variety of methods - tie dye, motifs, jewels. This week we worked with LC1 on a 'Disappearing Colour' experiment involving bleach and food dye in water. We wrote instructions for the experiment, recording the equipment we needed and clear steps in the right order. We also reflected back on all the experiments we have carried out so far, recording our thoughts and wonderings. What is the most expensive material when building a house? 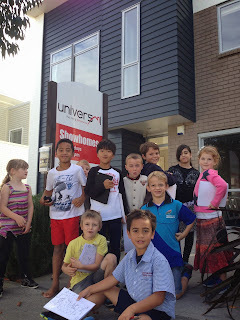 How much does it cost Universal Homes to build a house? Where do you get the money to buy the materials for the house? How many people are involved in building a house? Why are the houses in Hobsonville Point so expensive? 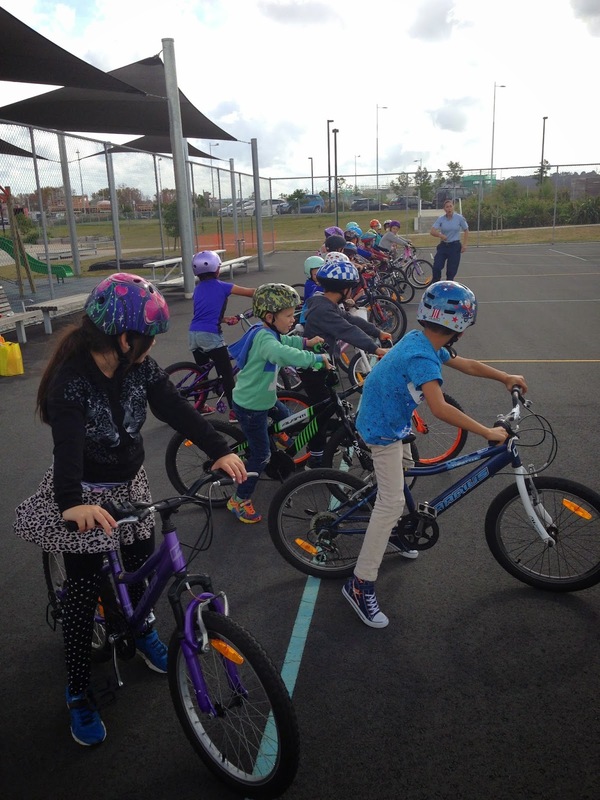 What community facilities does Hobsonville Point need? It was great to get some more information which will help us on our journey to design and build our own town. Hosting Mike from Universal Homes in the boardroom. Measurement is required in all our projects. 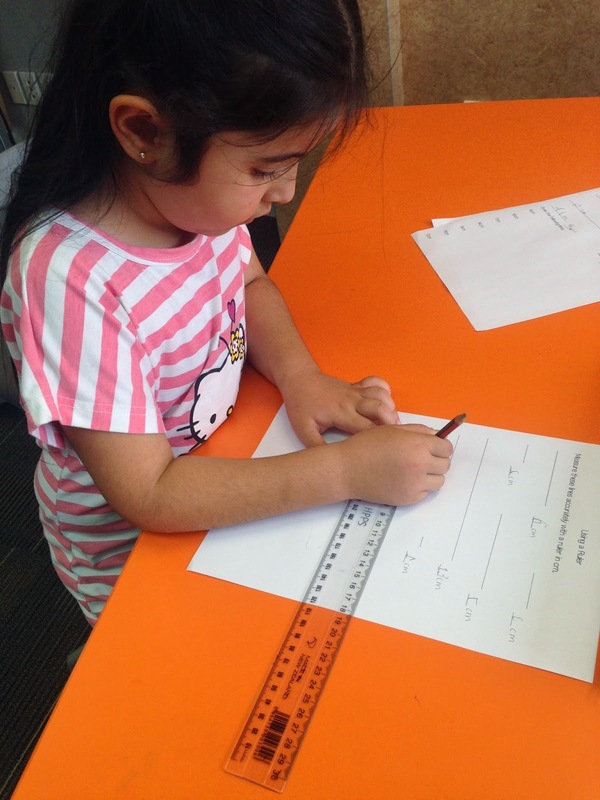 The Measurement pre test carried out last week has highlighted 'next steps' for the children and they attended target workshops this week. Some children have begun by identifying non standard units of measurement and using these to accurately measure classroom objects after a prediction has been made. Others have looked at units of time, putting a day's events in the correct order and considering how long an activity takes. For example, will it take longer to write your name or do 10 star jumps? 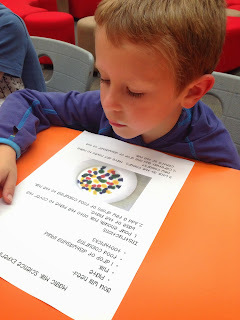 The children enjoyed thinking of different activities and finding out which took the longest. 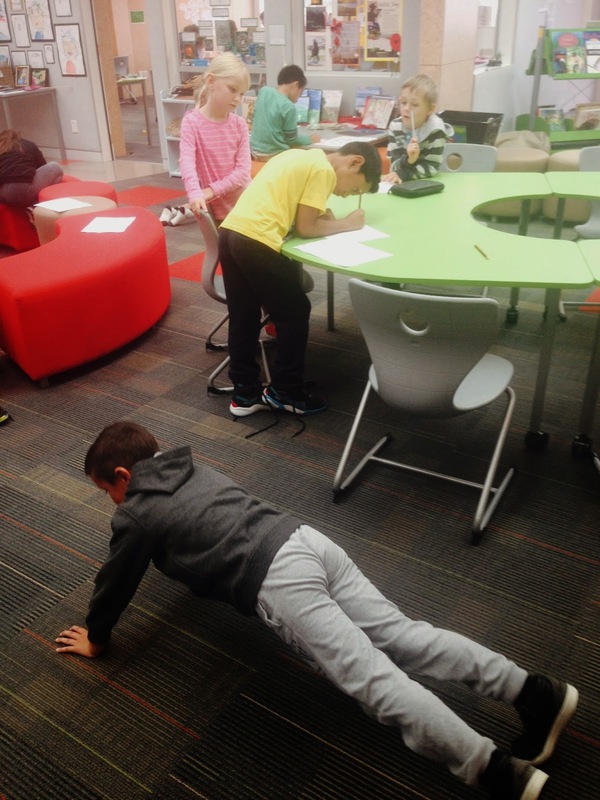 Which takes longest, 10 press ups or drawing 20 circles? We also carried out a Number pre test and as a result spent the week investigating doubles to 20 and 40. This week our reading and writing has been linked to our projects as children are presented with opportunities for authentic learning. 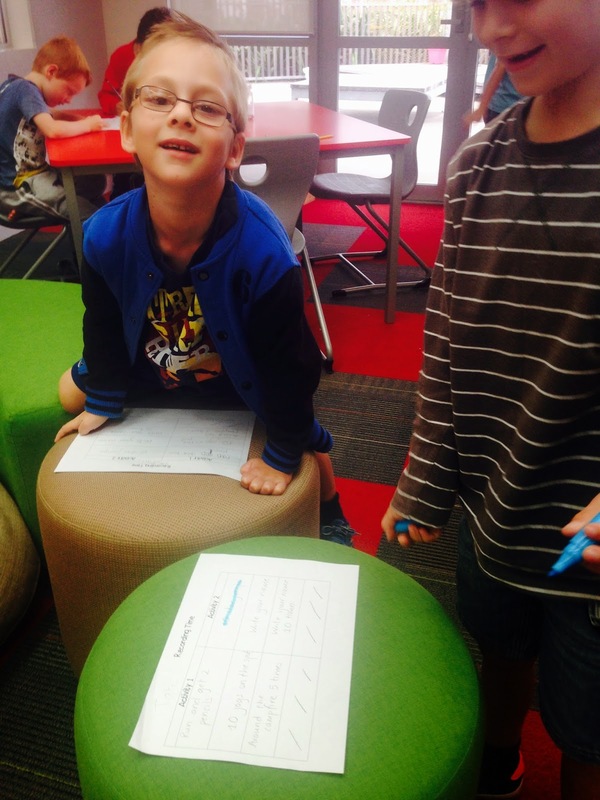 Follow up reading activity around a science experiment. 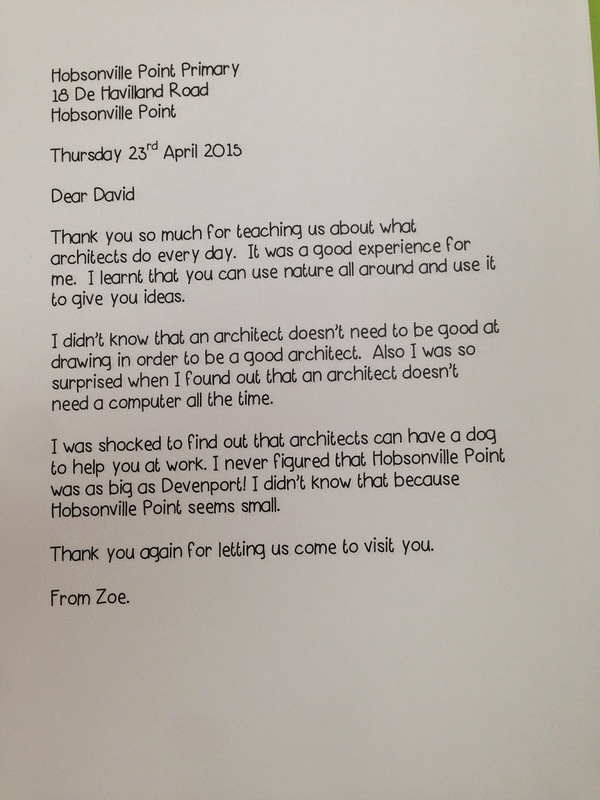 A letter to David of Isthmus architects to say thank you for having us. 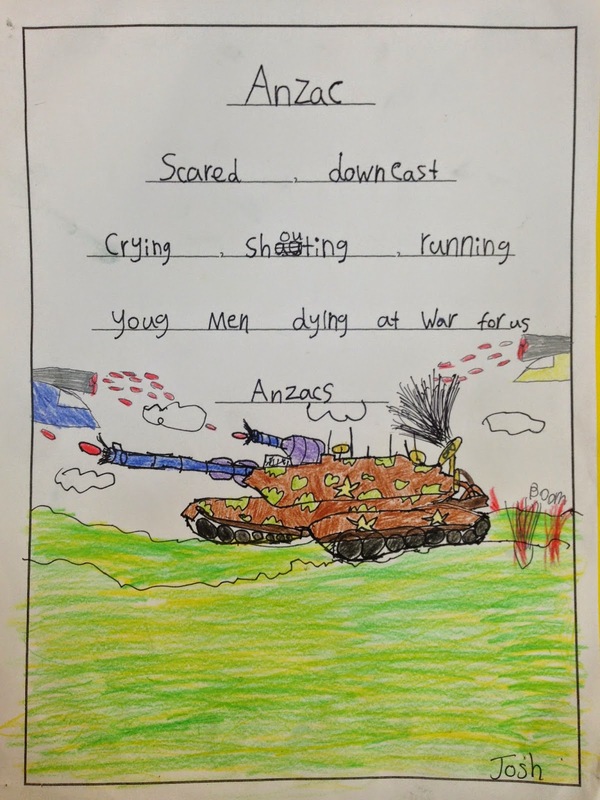 We have also written our first ever cinquain poems based around our work on The Anzacs. 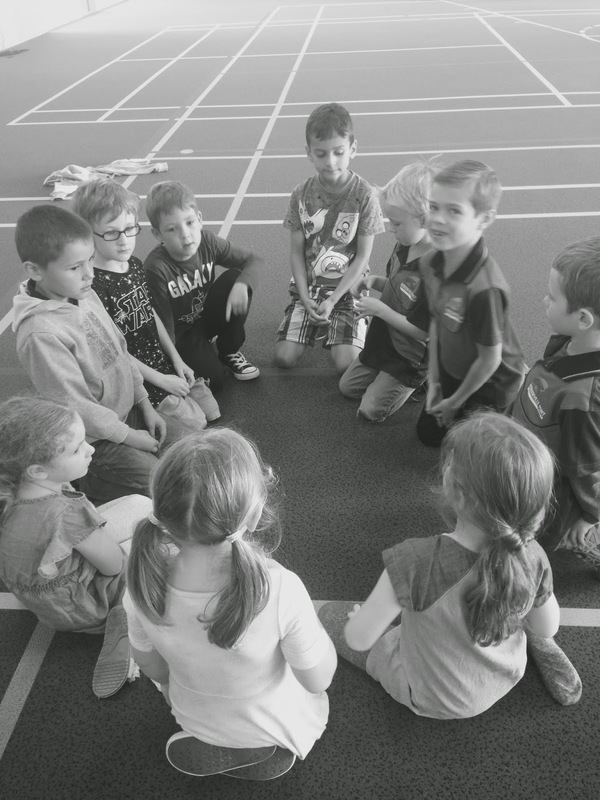 We are continuing our focus on working as a team, taking opportunities to lead when appropriate and making sure we manage our behavioural decisions when interacting with others. We have also been doing some thinking about what it means to have a fixed mindset or a growth mindset. We looked at the life stories of Michael Jordan, Oprah Winfrey and Walt Disney to help us. 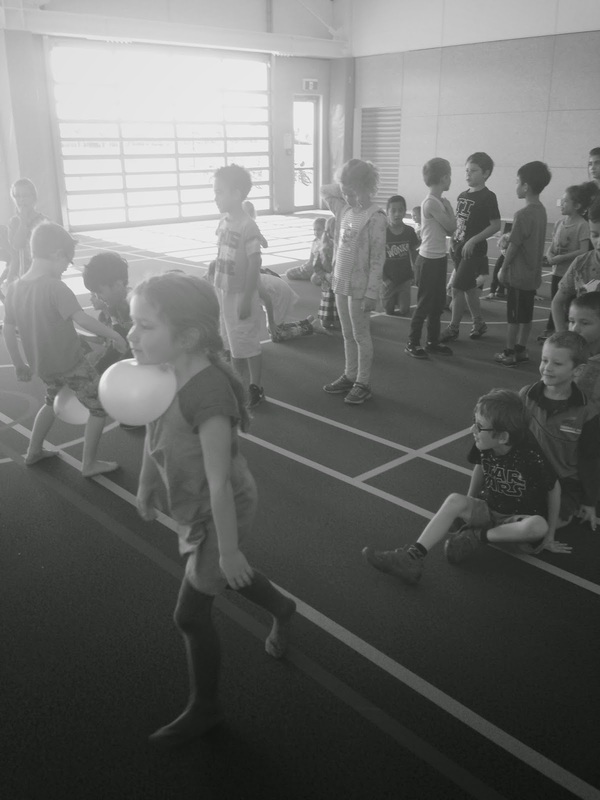 Working as a team to blow up a balloon, tie it, run a relay whilst holding the balloon and then pop it. 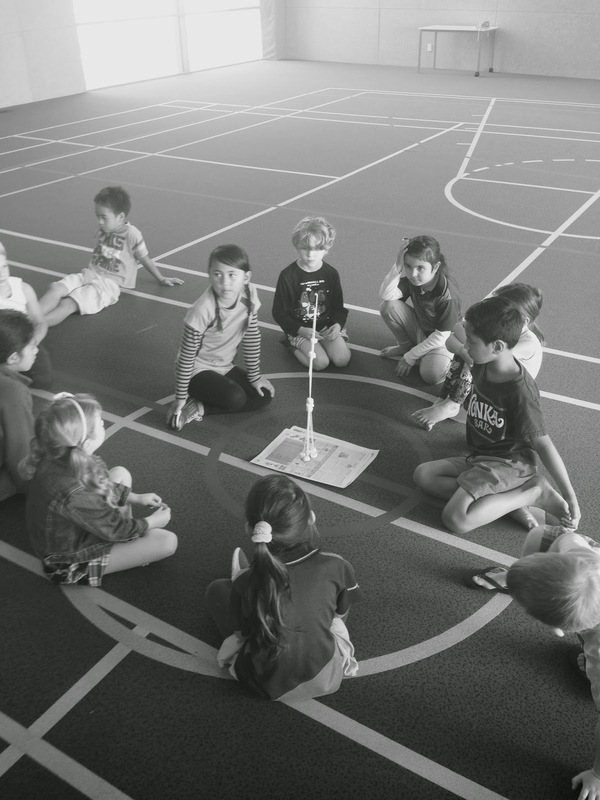 Participating in the BP challenge to build a tower using marshmallows and spaghetti. 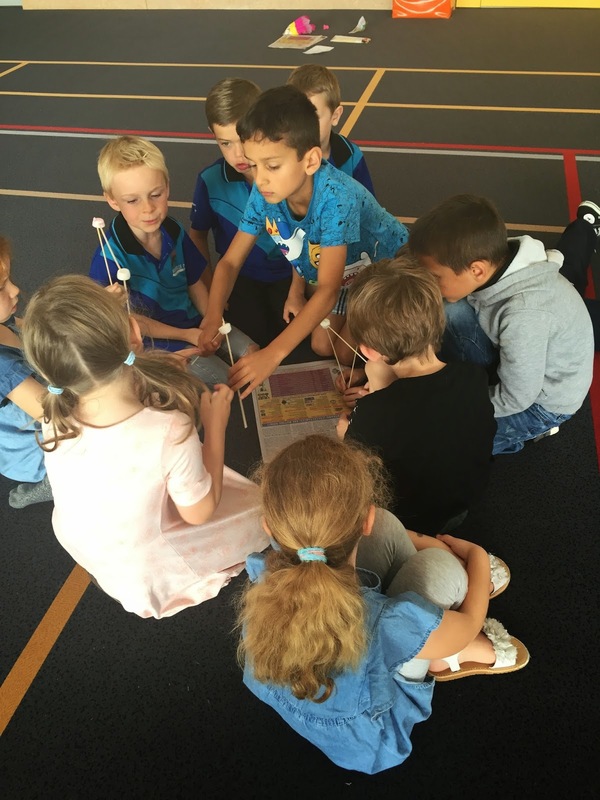 We continued on with the success of last week with the children planning more student led workshops. 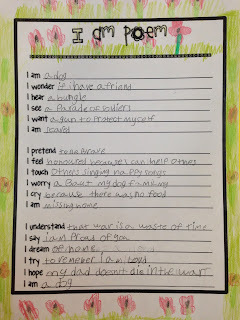 The children have made some very perceptive reflections and are looking for strategies to address them. For example, how do you manage children that do not listen? What do you do when your workshop does not go to plan? 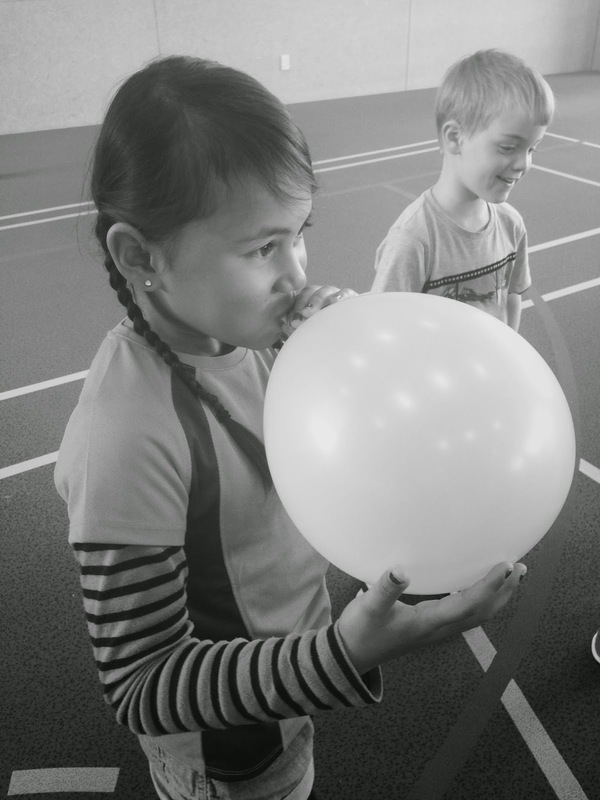 How do you manage some children being able to do what you are teaching and others not?